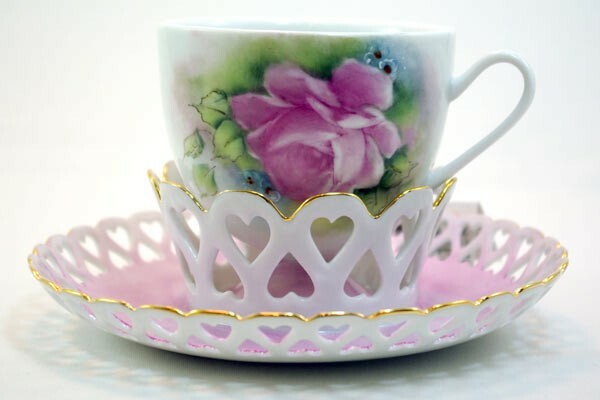 Each piece of porcelain is hand painted by artist Rosemary Thomas, who creates the designs on every item. The paint used is comprised of several minerals, combined with oils to create beautiful colors and textures, giving each hand painted piece its own one-of-a-kind identity. The dry paint is ground with a mixture of oils to become an open medium until fired. When painting china, Rosemary uses several coats. Between each coat the piece is kiln fired and checked for quality. Gold trim and accents are added on final firing. 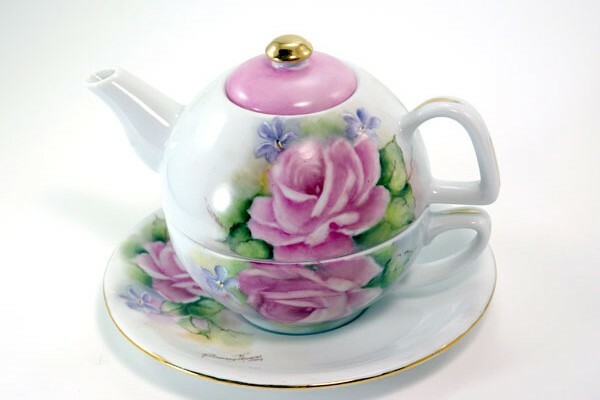 Rosemary paints many different pieces of porcelain, all sizes and shapes, such as jewelry, plates, cups & saucers, boxes, vases, collectibles, baby items, Christmas ornaments, glass and china lamps, and tea, coffee and chocolate sets. 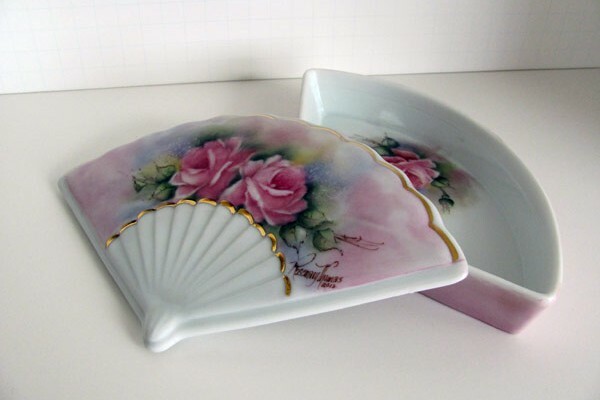 Quite a few of the porcelain pieces are reproductions—hand painted in beautiful colors reminiscing of the Victorian days gone by. Items with cutwork are the most popular.. 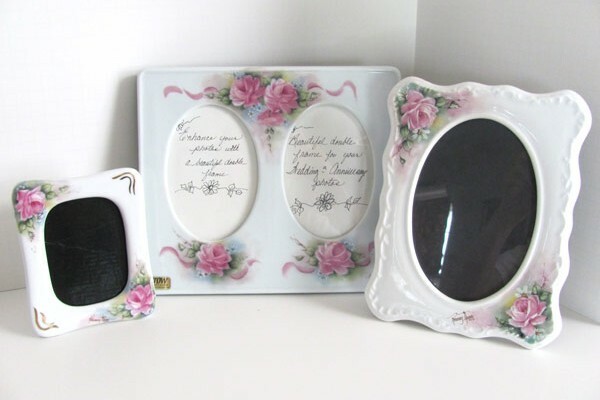 Most of the items may be personalized with names, dates and whom it is from if given as a gift. Many people like to add verses or sayings for weddings, anniversaries and births. Rosemary also does custom painting and original designs made to order. 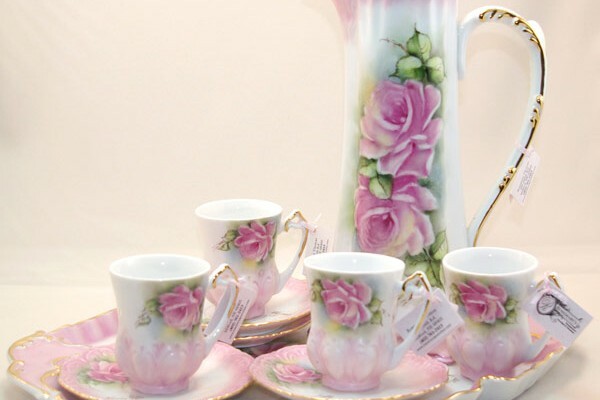 She has painted complete sets of china where each piece was designed specially for the family. This special gift can then be handed down and treasured for years to come. Rosemary also hand paints tiles for bathrooms and kitchens. She can match wallpaper or develop an original design for you. Rosemary’s jewelry is very unique, combining porcelain and beadwork. The disc may be hand painted with luster, gold, platinum and raised paste. The beads used are Czech fired glass or Swaroski crystals, making them a truly one-of-a-kind piece of jewelry to wear and treasure. Contact Rosemary today to work with you to create a unique piece, specially designed and hand painted for you.